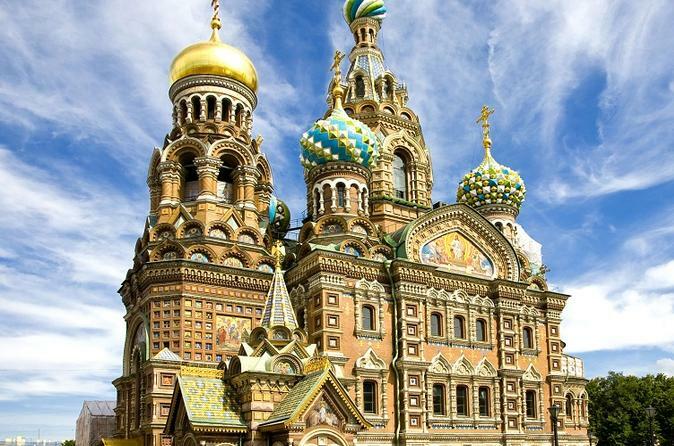 Explore the sights of St Petersburg when you’re in port with a visa-free shore excursion. This comprehensive day tour introduces you to the monuments and architectural landmarks of the city center, plus you’ll visit the Hermitage Museum and royal sites like Catherine Palace or Peterhof Grand Palace, depending on the day of your tour. Your St Petersburg shore excursion starts at the cruise terminal, where you’ll meet your guide after you clear immigration. Begin your full-day experience with a 1.5-hour city highlights tour, including an optional ride on the subway. You’ll be driven past historical monuments and buildings, such as Vasilyevsky Island, the log cabin of Peter the Great, Nevsky Prospect, the cruiser ship Aurora, the Catherine the Great monument, Arts Square, Alexandrinsky Theatre, Ostrovsky Square, the National Library, Mariinsky Theatre, St Nicholas Cathedral, Kazan Cathedral and the Russian Museum. After an evening walk along Nevsky Prospect, if time permits, your day tour ends at the port before your ship’s departure.